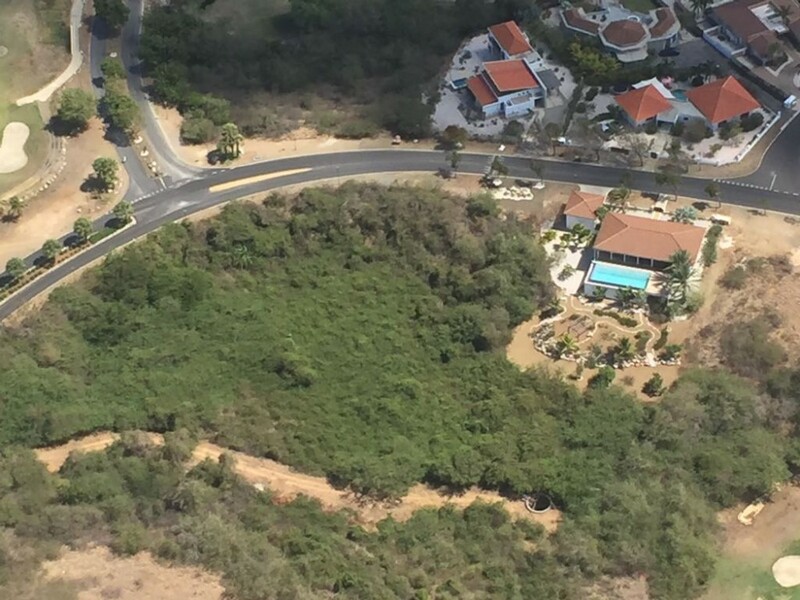 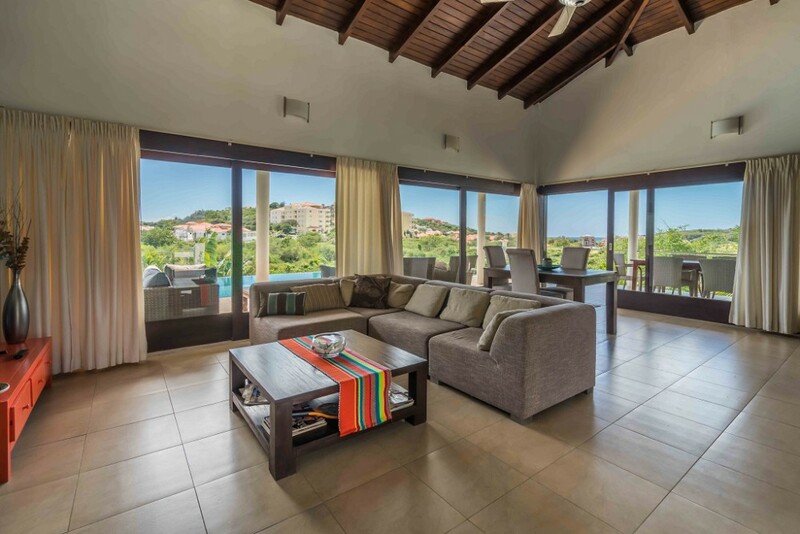 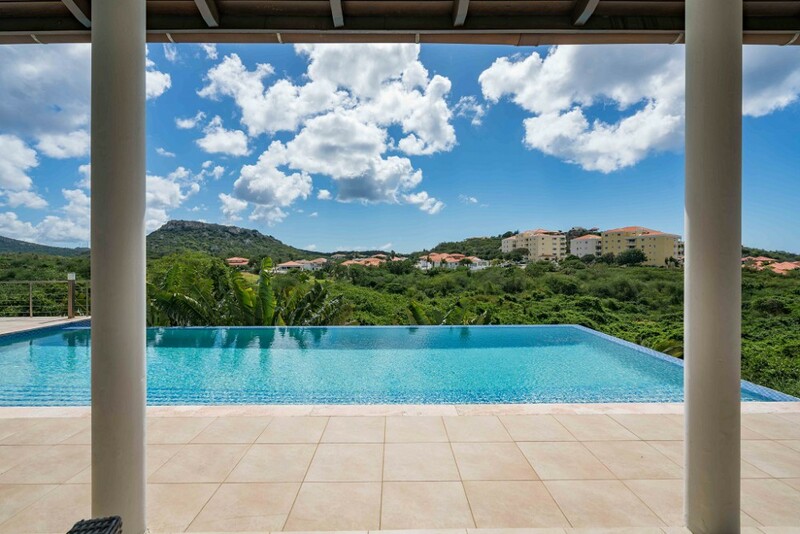 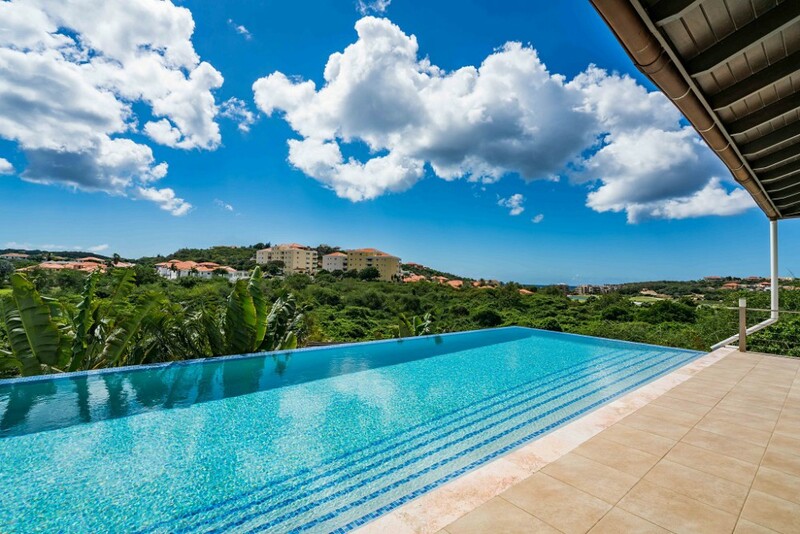 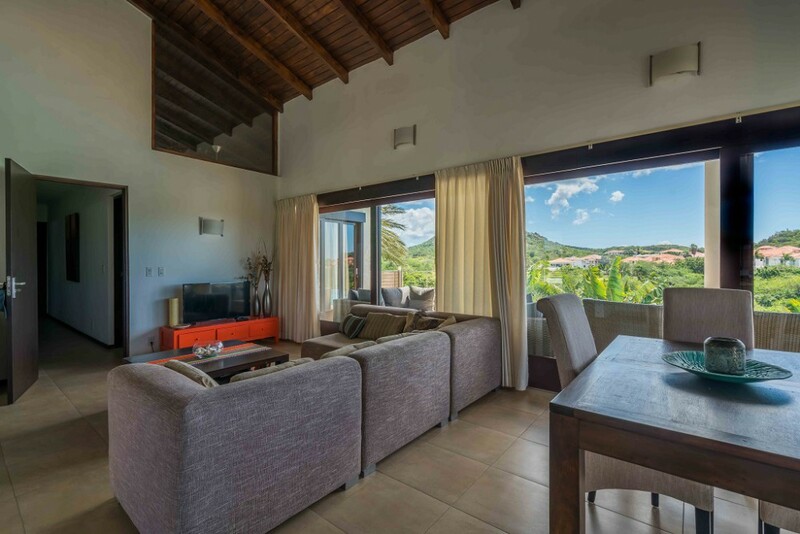 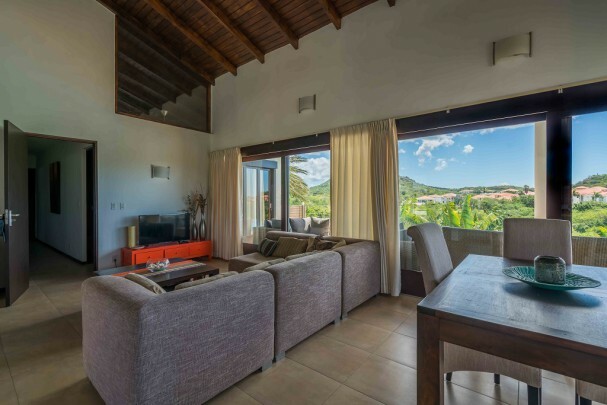 Spacious detached house in Blue Bay Golf & Beach Resort Curacao with gorgeous back views of extensive garden, golf course, mountain and even the sea from afar! 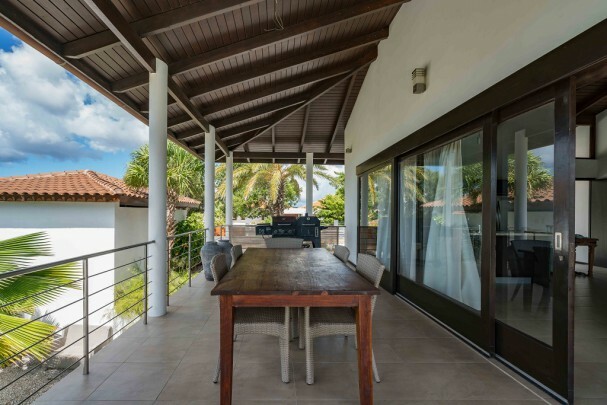 Convertible Caribbean kitchen with doors that fully open to the wrap around terrace creates indoor outdoor open living space. 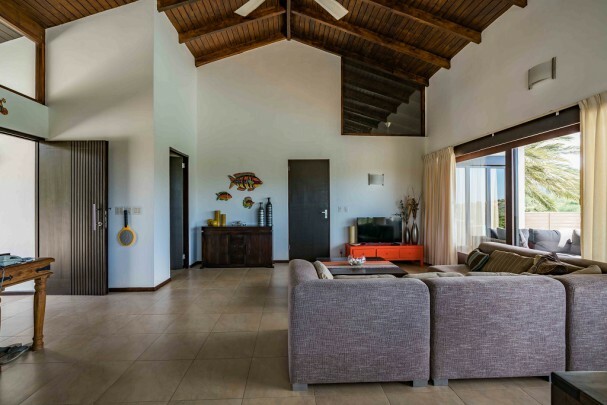 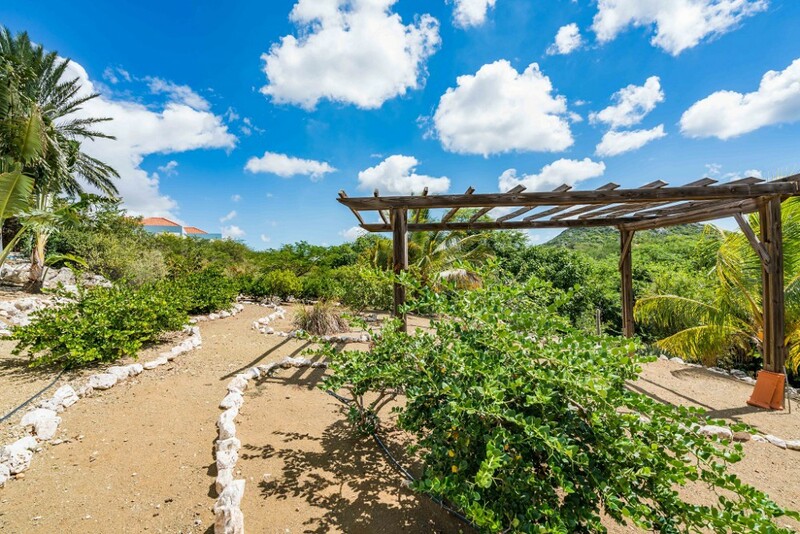 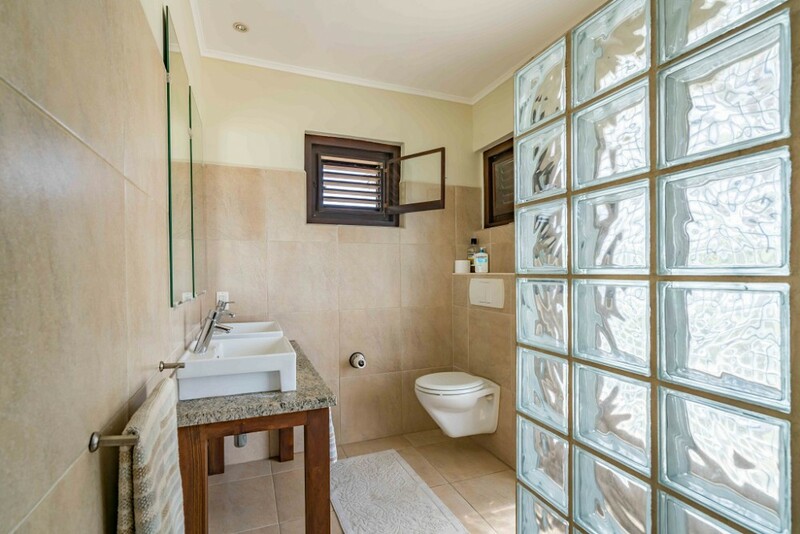 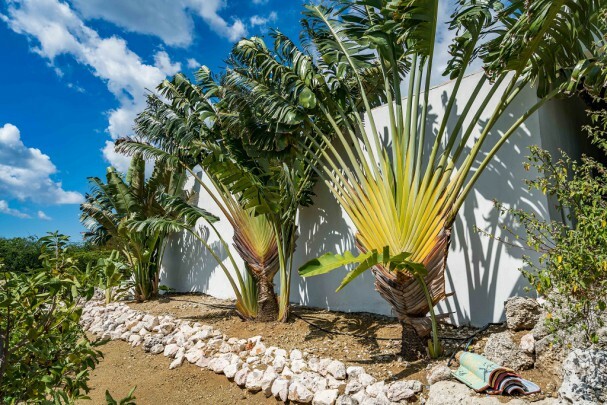 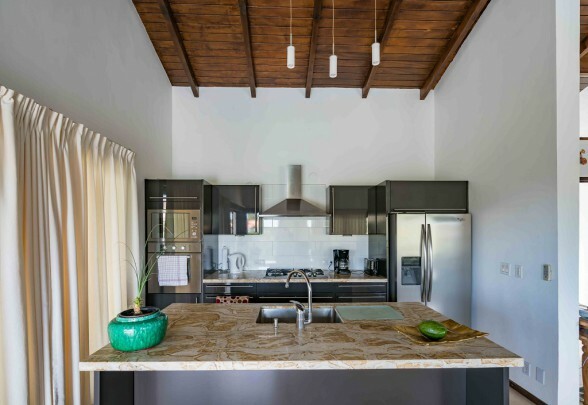 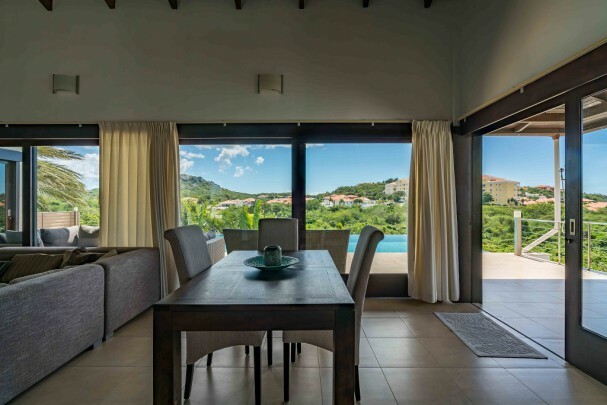 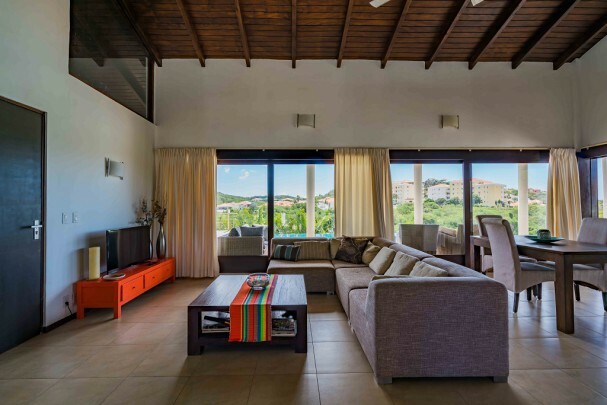 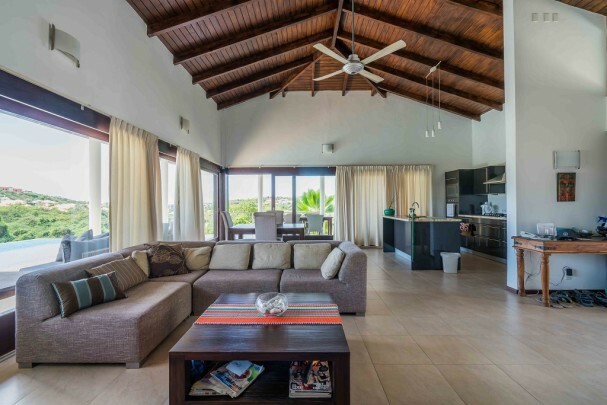 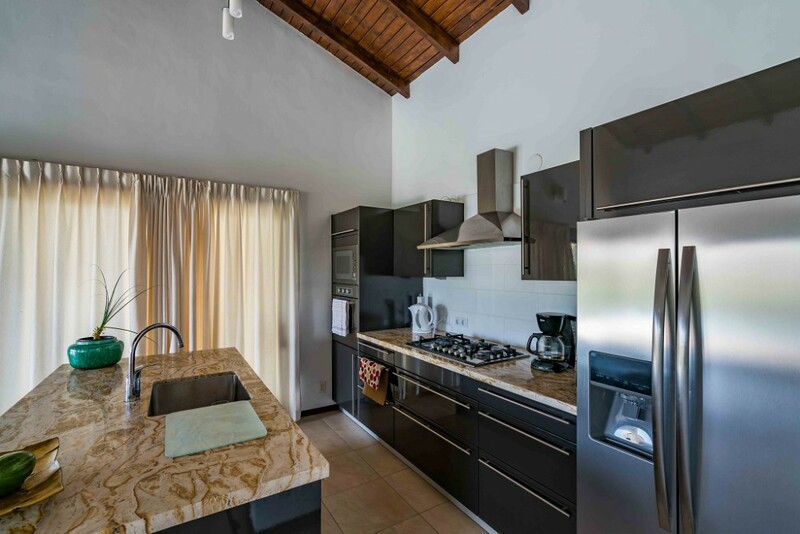 The location of this property enables Caribbean breezes to envelop the house and land making the house cool and comfortable in the Curacao heat. Vaulted ceilings throughout, modern open kitchen and bathrooms make this house an excellent second or permanent home! Expansive terrace with multiple seating areas at side, back and by the pool is perfect for entertaining or lounging. Rare mature fruit tree landscaping has been invested for you to pick your own personal fruit like coco palms, mango, figs, guava, pomegranate, sea grape and almonds just to name a few. 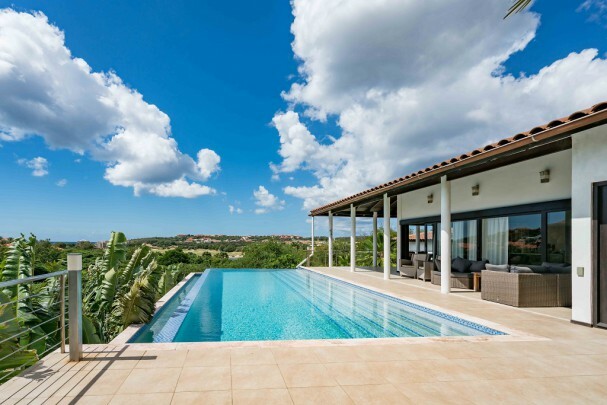 Gorgeous infinity pool with incredible views by day and beautifully lit for evening swims. 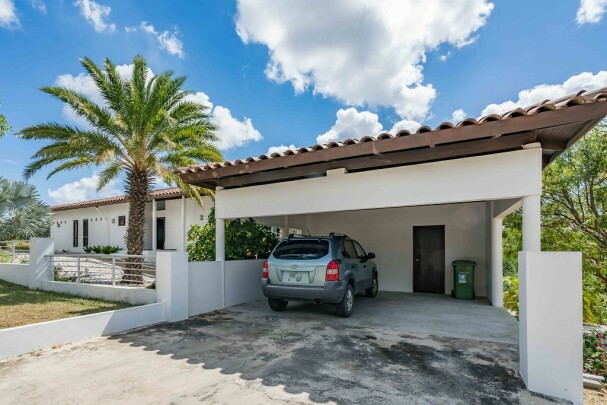 The property also has a double driveway and carport. 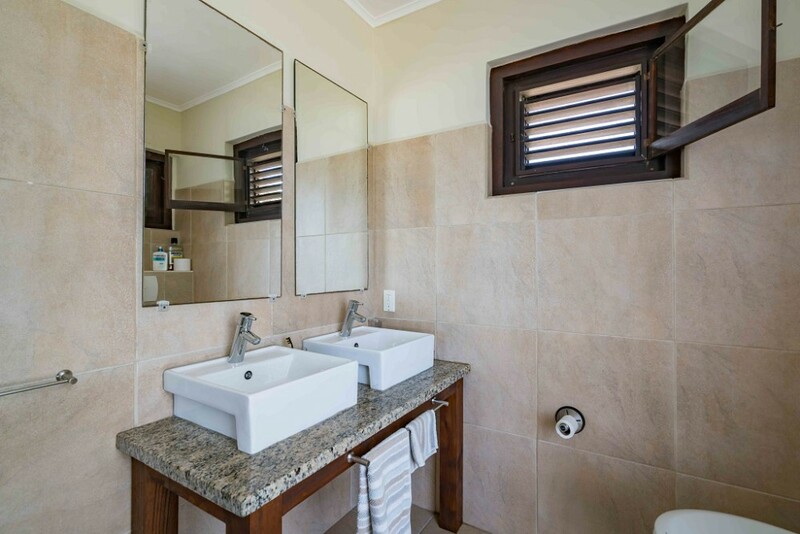 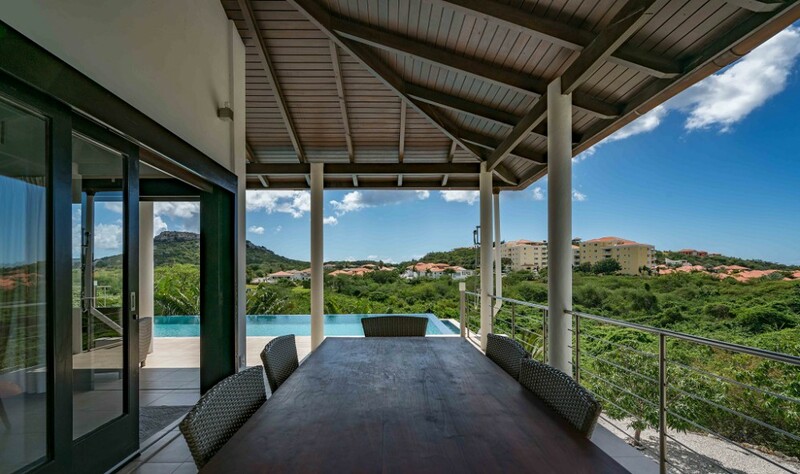 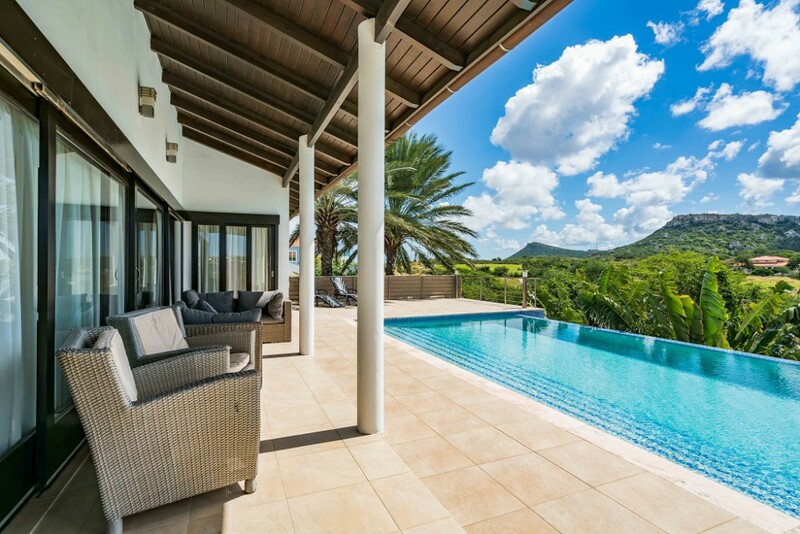 Siding onto Blue Bay property makes this house very private and ensures the view of the golf course and towards the Caribbean Sea. 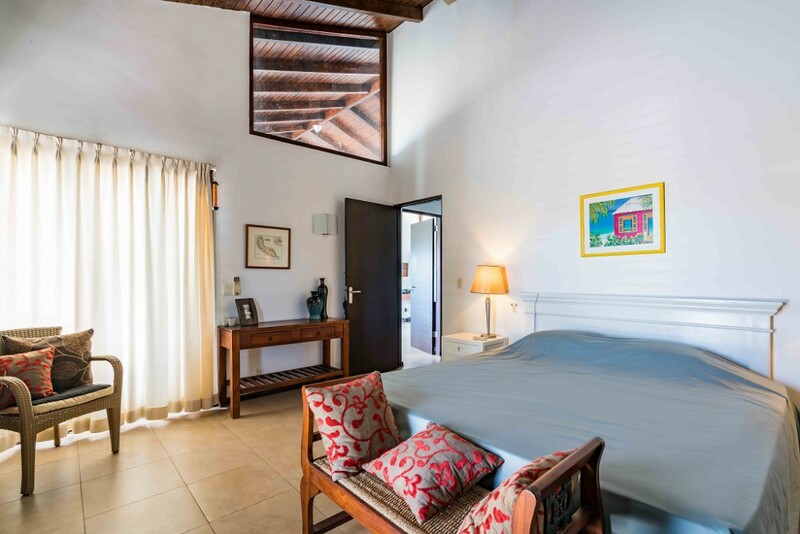 For overnight guests, there is a one bedroom lower apartment suite with a separate entrance. 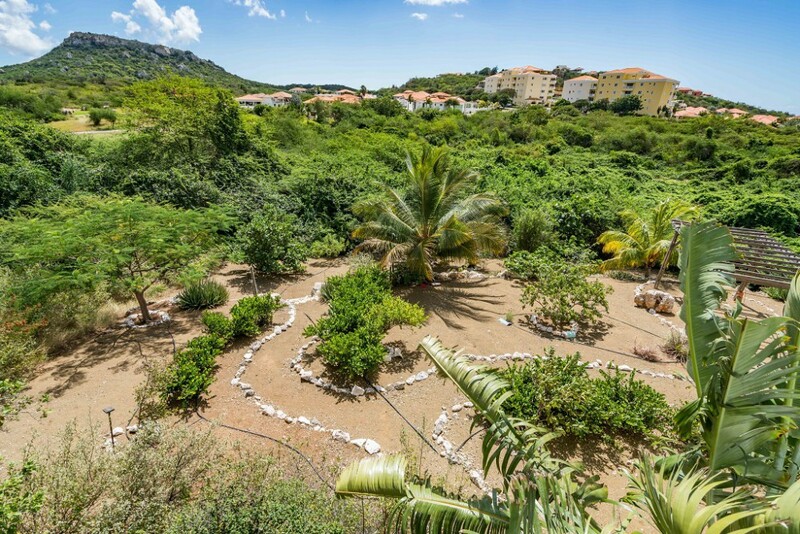 All comforts for Caribbean living have been considered and upgraded: window screens master bedroom, copper piping ensuring steady hot water for showering, beautiful Curacao inspired landscaping with ecofriendly watering system, additionally the entire property has been recently repainted inside and out. 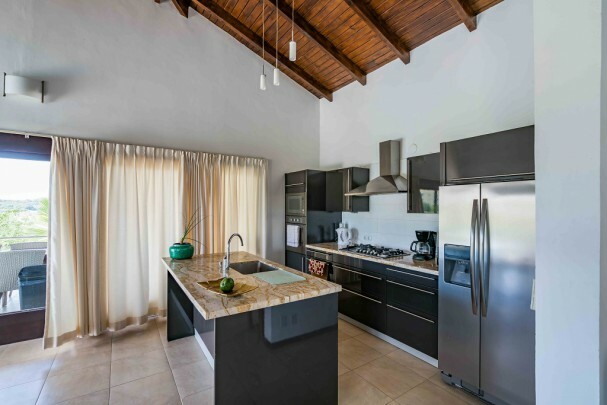 This property is move in ready with all modern finishes and multiple upgrades. 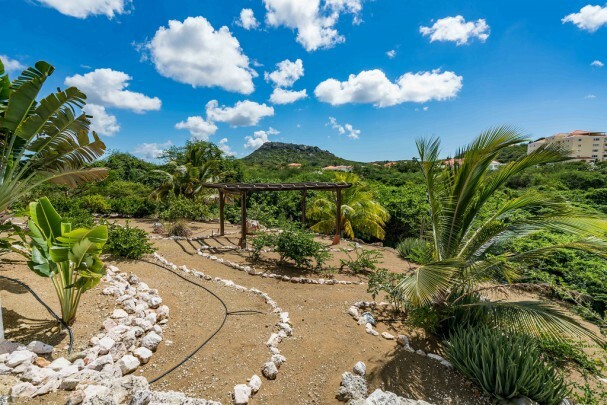 Very well priced for a property of this type located in Blue Bay, do not hesitate, it is a must see!